Overlooking Montecchio Castle. The beautiful farmhouse is situated in the hills covered by olive groves, between Castiglion Fiorentino and Cortona, in an extremely panoramic position with a splendid view of the superb castle of Montecchio and of the whole of the eastern part of the Chiana valley. Halfway between Castiglion Fiorentino and Cortona. In the middle between Castiglion Fiorentino and Cortona, only a short drive away, are two of the major towns of the valley and promote cultural and folk events of international importance throughout the year. Panoramic and shaded garden. The house is surrounded by a cool, fenced garden, equipped with garden furniture and shaded by olive trees, where one can rest on hot summer days enjoying the shade and admiring the attractive view below. The house, furnished with rustic furniture, is well-kept and comfortable. Breakage deposit Euro 150 (payable in cash on your arrival and held by the owner for the duration of your stay). Heating Euro 5,50 per m3 (if used). 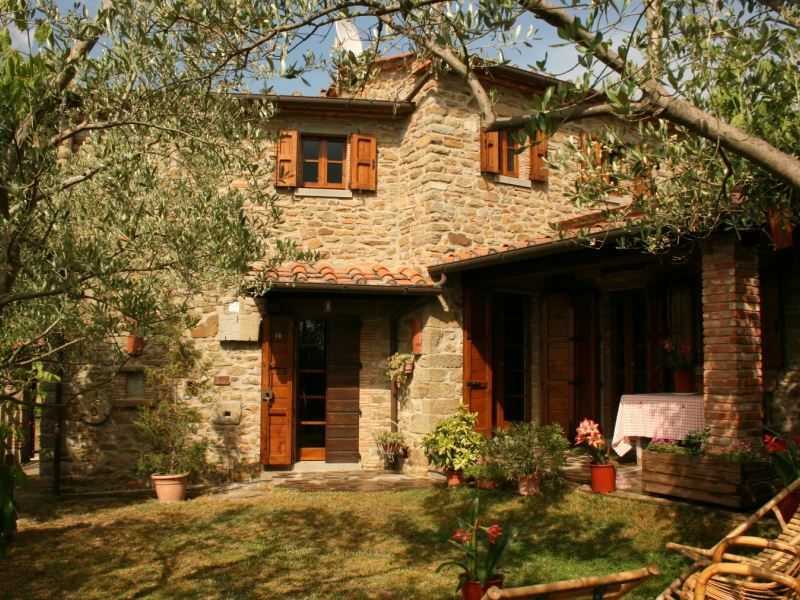 This house, in Sant'Angiolo, is a comfortable property sleeping 6 people. This wonderful house allows pets.